According to my mom, I was babywearing before it was “a thing”. She wore my younger siblings in what she called her “front pack” and I wanted to be a little mama myself, so she made me my own “front pack” to carry my dollies around in. I still remember it in all its 80s pink quilted glory. I thought I had reached the epitome of being a good little mommy. Fast forward almost twenty years, and I was reintroduced to babywearing when I was a mother’s helper for some friends in New Zealand. They had a British-made semi-stretchy wrap and I often wore the youngest when we were out walking. And just like that, I was hooked. Even though he wasn’t technically my baby, I loved holding him close as he was experiencing the world, while leaving my hands free for helping the other kids. I knew that, whenever I had little ones of my own, I would definitely want to “wear” them regularly. To put it simply, babywearing had changed a lot in the twenty-some years since my mom just put us in her “front pack”. 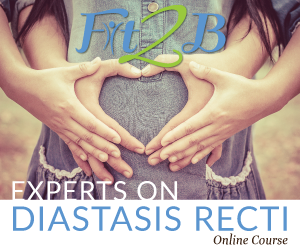 While wearing your baby is an age-old and global practice, the sheer number and types of carriers available to moms today can boggle your mind. All the hundreds (literally!) 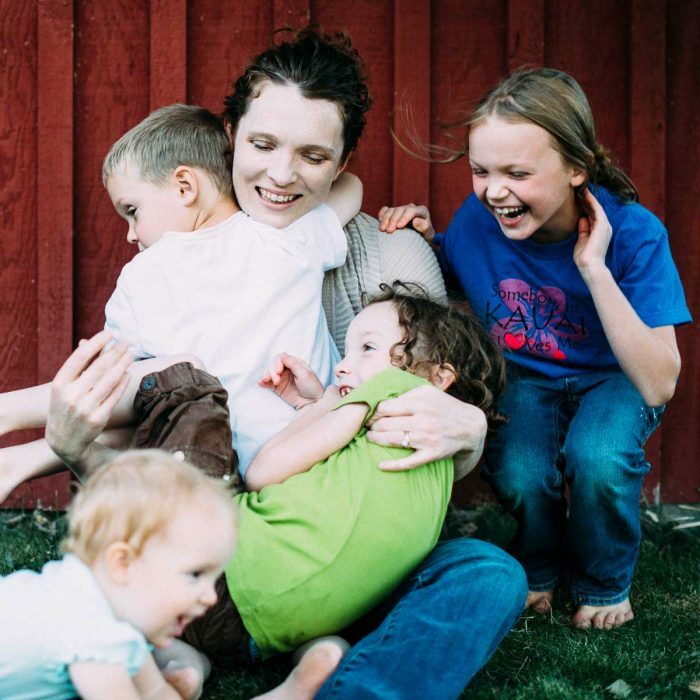 of different carriers can easily overwhelm a new mama who just wants a way to stay close to her baby while keeping her hands free. Because I had some experience with a type of carrier I knew I liked, I just forged ahead in that specific direction and tried to ignore all the other options for the time-being. Since that fateful first carrier, I’ve worn all three of my little ones from birth into toddlerhood, and I’m anxiously awaiting starting that journey with our fourth, due in March. I’ve tried many different carriers over the years; some I kept and some I re-sold or passed on to friends. I’m definitely a minimalist when it comes to many things, including baby gear, so I haven’t kept carriers that we don’t use on a regular basis. 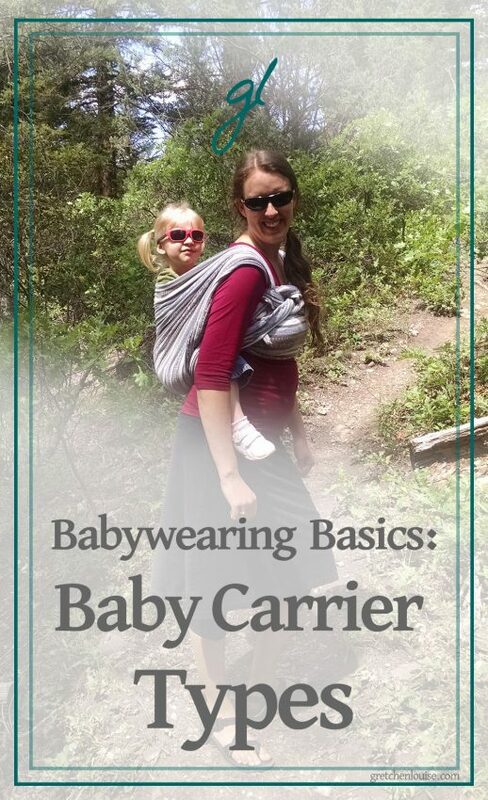 By now I’m very well acquainted with all the acronyms and strange names tossed around in the babywearing world, but in the beginning I was completely lost. What’s a mei tai? Or a SSC? And what are they doing with those yards and yards of fabric?! I’m hoping to clarify some of those terms for you today as we go through the most common (and safe!) 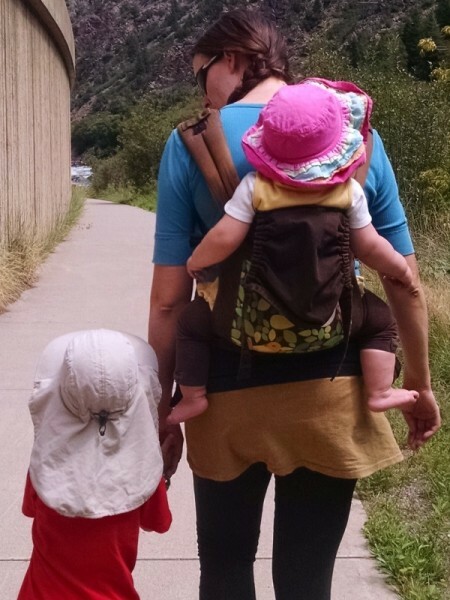 types of baby carriers now available, discussing the pros and cons of each. I’ll let you know some of my favorites and why they’ve made the cut for our pretty minimalist stash. As the name implies, these are carriers made out of a stretchy material that you wrap around your body. 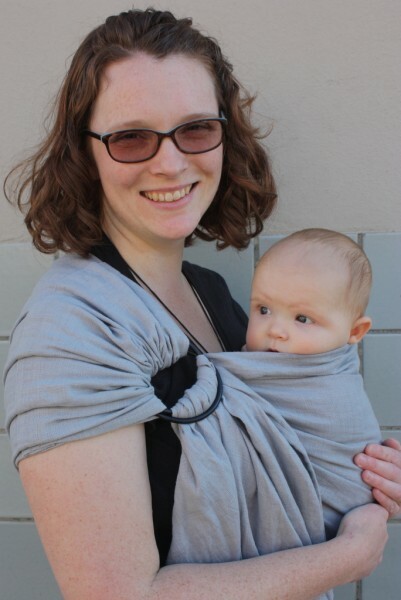 The popular Moby Wrap is a stretchy wrap, as is the Boba Wrap (formerly called Sleepy Wrap), and the Solly Baby Wrap. Stretchy wraps are wrapped snugly around the wearer’s body before before putting the baby in and should always be worn wrapped the same way, with multiple layers of fabric crossing over the baby to keep them secure. They should NEVER be used to carry a baby on your back as the stretchy fabric isn’t strong enough to keep the baby from flipping themselves off your back. Stretchy wraps are great for using with infants as they keep the baby snug to mama and the wrap material is very soft. Stretchies are often only comfortable for the wearer until the baby reaches 15-20 lbs. as the increase in weight can cause the wrap to start to sag and dig into the wearer’s shoulders. My first carrier ever was a Boba Wrap and I loved it for my December preemie. People would joke that they never saw my son’s body outside of the wrap until he was a couple months old! However, I did not use it as much with my daughters who were born in April and May. Boba and Moby wraps are made of thick material: after wrapping correctly and achieving the multiple layers needed for adequate support, it can almost feel like you’re wearing a sweatshirt! Therefore, I don’t recommend them for those having spring/summer babies or if you live in a warm climate. However, Solly Baby Wraps are stretchy wraps made of a much thinner (but still strong enough) material that they can be worn year round. I haven’t used one yet (they weren’t out when I had my last baby), but I have many friends (including Gretchen!) who have raved about them and I recently bought one for our coming little one. It’s worth briefly noting there are hybrid stretchy wraps that, while still somewhat stretchy, are strong enough to be used for back carries. The most popular brand is Wrapsody Hybrid wraps (also sometimes known as Bali Breeze). But again, please note: these are specific hybrid stretchy wraps, and not basic stretchy wraps like Moby, Boba and Solly. Basic stretchy wraps should NOT be used for back carries. Similar to stretchy wraps, these carriers are long pieces of material that you wrap around your baby and your body. However, they differ greatly from stretchies in that the material they are made from is not stretchy at all, but is thickly woven. This greatly increases the versatility of this carrier as it can carry children from birth to preschool age, and can be used for carrying your baby on your back. The strength of the material, specifically woven for carrying little ones, means that it doesn’t require multiple layers to keep your baby secure. The fact that woven wraps aren’t stretchy also means that the baby is wrapped onto the wearer, unlike stretchy wraps that are wrapped before putting the baby in. Many wrappers will use different “carries” for different situations. Woven wraps are most commonly made from cotton, but linen, wool, silk and bamboo are also used, often blended with cotton. There are umpteen different brands of woven wraps, but some of the most common are Girasol, Ellevill, Didymos, Ellaroo, Storchenwiege, BBslen, Colimacon et Cie, Natibaby, and Kodaki. In order to accommodate for all the different body sizes of babywearers, and because of all the different carries you can do with woven wraps (many of which require different lengths of material) woven wraps are sized with numbers 2-8. These numbers correlate to different lengths in meters with 2 = 2.7 m. and 8 = 5.7m. Most babywearers figure out what is called their base size (here is a link to help you with that) and then go from that to figure out what size wrap is needed for a particular carry. I love wrapping, but don’t want to have a bunch of different sizes of wraps lying around. I ended up choosing the largest size that I could use for the majority of carries that I wanted to do (I’m tall and somewhat big-boned so that ended up being a size 7). If I absolutely needed to, I could use it for carries that would normally require a shorter length wrap, but I would have some very long tails of fabric left over that I would need to figure out what to do with. 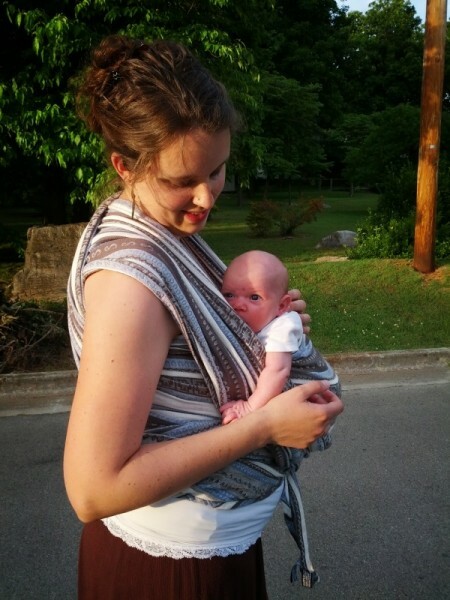 By far, woven wraps are the most versatile of all baby carriers. They really are the only carrier that you can safely and securely use from infancy through toddlerhood. However, they are also the carrier that comes with the biggest learning curve. The yards of fabric can seem really overwhelming and it can take many tries to get a certain carry secure enough to wear safely. But it is totally worth it! 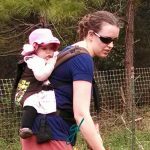 Finding a local babywearing group to get hands-on instruction from other wrappers is invaluable, but if that isn’t available to you, then YouTube videos of different carries are very helpful. Go slowly and practice over a bed or other soft surface until you feel confident in the security of your wrapping job. You can do it! While there are many other excellent brands out there, many people refer to all SSCs as “Ergos” as that is the most commonly known brand. SSCs have a padded waist belt that fastens around the wearer with a buckle; a panel attached to the belt functions as the seat and back, holding the baby secure. There are padded straps (similar to a backpack’s straps) that go over the wearer’s shoulders, attaching to the panel. These are often buckled together over the chest (or back) in order to keep them from slipping off the shoulders. SSC waist belts and shoulder straps are very adjustable so that the same carrier can be used by many different-sized wearers. SSCs can be used for front, hip and back carries. As mentioned, Ergo is the most commonly known brand of SSC, but Tula, Boba (the same company who makes the stretchy Boba Wrap), Beco and Kinderpack are also well-known. All of those SSCs are generally used from birth-45 lbs., but several, like the Ergo or Tula, require an infant insert to use with a very little baby. Tula and Kinderpack also make larger toddler-sized SSCs. However, proper sizing of a carrier doesn’t really depend as much on weight, but on leg length. I’ll talk about this more in-depth in the post on babywearing safety, but in order to adequately support a baby’s hip and leg in any carrier, the seat portion should go from knee-to-knee. Anything less can possibly put too much strain on the baby’s hips, and honestly, is just plain uncomfortable! Therefore, a baby who is long and skinny might still be within the weight range of a particular SSC, but their legs might not be properly supported. Most standard (i.e. not specifically toddler) SSCs can probably be used knee-to-knee until around 18 months or so, but if your baby is particularly long-legged, you might want to check seat width dimensions on several to find the widest one (that information should be easily available wherever you purchase your carrier). SSCs are most often made out of cotton canvas, but there are also wrap conversion (WC) SSCs that are made out of woven wrap material. My first SSC was an Ergo, and while I loved the convenience of that type of carrier, I was not a big fan of the Ergo itself. After doing some research, I passed it onto a friend and bought a Boba Carrier. I liked that much better and found it significantly more comfortable as it hugged my baby to me a lot more which eliminated some back pain from trying to compensate for my leaning baby (the back of the Ergo is quite a bit lower than other SSCs which means that the baby can lean out/away from you more). The Boba was my go-to carrier with both my daughters, but when their legs started to get too long to be adequately supported, I bought a toddler Tula–and found my favourite SSC of all time! I feel the Tula is much more comfortable than the Boba, even when carrying a heavier toddler. I’d love to someday have a standard Tula to compare directly to the Boba, but I doubt that will happen for awhile as my Boba still has a lot of wear left! A mei tai is an Asian-style carrier that is somewhat of a cross between a woven wrap and a SSC. The waist belt ties around the wearer’s waist, and is attached to a panel that forms the seat and back for the baby. The straps go over the wearer’s shoulders and usually cross, then wrapping around the wearer and baby to tie at the baby’s back or at the wearer’s waist. The lack of buckles make them easily adjustable to different size wearers and bit more customizable for comfort than a SSC. However, they’re not as intimidating as a woven wrap as there is already a clearly defined seat. Infantino makes a basic mei tai that is commonly available in some big box stores. Some other basic mei tais would be the Baby Hawk and Catbird Baby. Many woven wrap companies also make wrap conversion mei tais (WCMTs) that are made out of woven wrap fabric. These mei tais also usually have wider wrap type straps instead of the sash straps common to basic mei tais. Some popular WCMTs are from Lenny Lamb, Fidella, ObiMama and BBslen. Up until about a month ago, I had never used a mei tai as I was very satisfied with my wrap and SSCs. But then I found a WCMT that I absolutely fell in love with, and so I took the plunge. I especially looked forward to trying it with our coming little one, but also wanted to get it soon enough to experiment with carrying my two-year-old before she got too big. I ordered a BB Tai (a WCMT made by BBslen) and though I’ve only had a couple chances to try it so far, I’m pretty impressed. I love that it’s more convenient than a woven wrap (especially with an older toddler who doesn’t like being worn for long periods of time), but the wrap straps (because it’s a wrap conversion) are super comfy. The fabric itself was incredibly soft right out of the box which made me excited to use it with my coming newborn as I love cozy carriers for little tiny babies. Slings differ from the other carriers listed in that they only go over one shoulder, crossing the wearer’s body like a Miss America sash. They are often divided into two categories: pouch slings and ring slings (RS). Ring slings look like a shorter woven wrap, gathered on one end and there attached to two large metal rings. The end of the sling material is looped crosswise across the wearer’s body and then threaded through the rings, which are generally placed just below the wearer’s shoulder. 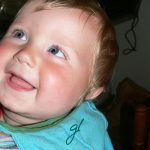 The baby is placed between the sling and the wearer’s body and the rails (the top and bottom edges of the sling) and body are tightened to make a deep seat and secure the baby to the wearer. 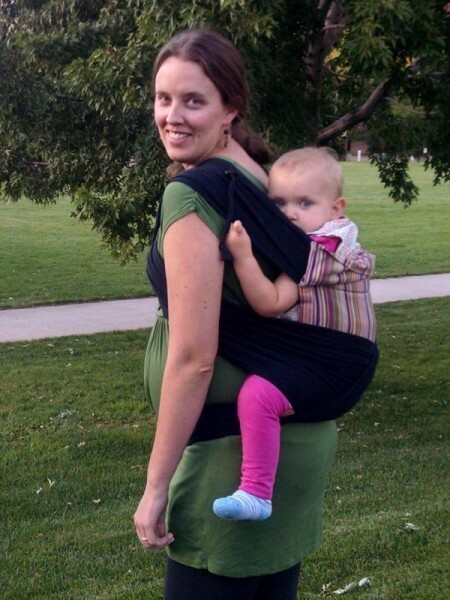 Ring slings can be used for both front and back carries. Ring slings can be made of cotton, linen, or silk. Silk slings are known for being strong and supportive, while linen slings are equally durable and versatile (and usually more affordable). (See Sakura Bloom’s collection comparison for more on fabric types.) Ring slings are categorized as single layer or double layer, denoting how many layers of fabric are used in the sling. Those new to slinging will find it easier to learn to adjust the rails in single layer ring slings and/or thinner fabrics like a linen chambray. The double layer is obviously stronger and can be used up 35 lbs., where single layer ring slings are often only recommended for use up to 25 lbs. Weight recommendations can vary per sling, though, especially depending on the fabric. Slings are the one baby carrier type that I’ve never used. The thought of all the weight resting on one shoulder never really appealed to me (though I’ve been told that, if worn correctly, the weight actually rests across your back), and they never seemed as secure as wraps and other carriers to me due to the “pop-ability” of the baby’s seat (i.e. if the baby straightened its legs, the seat could be lost). 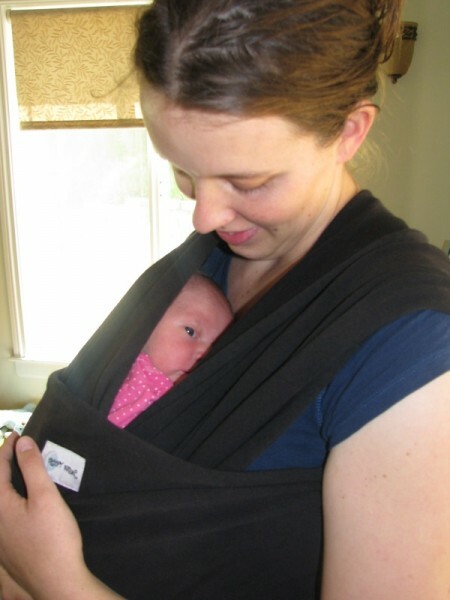 However, I know many other babywearers who love slings and find them very comfortable and convenient. Some popular ring sling brands include Maya Wrap, Sakura Bloom, WildBird, and Vienna Springs. And that’s a brief rundown of the basic baby carrier types. Within those types there can be many, many variations. 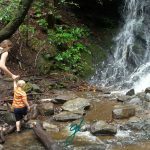 As you grow more adept at babywearing, it’s fun to discover what works best for you and your little ones. If you have any questions, please ask them in the comments! A wife and mama who loves her life of learning to know her Father, loving her amazing husband and little ones, and keeping her little house in the mountains. Hi Jessica! I’m thinking of replacing my ergo with a boba or a Tula-any more tips on the differences between the two? Also, any idea where a good place to find wovens second hand? Having owned both a Boba and a Tula, the differences between those two are not as great as the ones between those and an Ergo, but they’re definitely still there. And since writing this, I’ve bought a standard Tula (and LOVE it! ), so now it’s much easier to compare similar sizes. The biggest difference between the Boba carrier and a standard Tula carrier is the width of the carrier panel. The Tula standard panel is 15″ wide at the seat and then widens to 17″ at the top of the panel. In the Boba 4G, the panel is only 13.5″ at the bottom and doesn’t really widen much at the top (I don’t have it with me right now so I can’t measure exactly). The 1.5“ difference doesn’t sound like much, but to me it makes a big difference in how securely it feels like the baby is being held to you. And if you’re not planning on purchasing a toddler carrier, that extra 1.5″ buys you a little extra time that the baby is supported knee to knee. Another difference would be that the standard Tula needs an infant insert to safely carry an infant, whereas the Boba supposedly converts without an insert to carry an infant. I didn’t really find that difference to be that big of a deal though since I don’t like using SSCs with infants anyway, and prefer wraps for that stage. Some other minor differences would be that the Tula shoulder straps are cushier than the Boba’s. Some people don’t like this since it makes them “puffier”, but I like it. The one thing I do like better about the Boba is that it has a purse strap holder on the shoulder straps which is super convenient and helpful, but even with that, I still reach for my Tula over my Boba. I hope that was helpful…I’d be happy to try to answer anymore questions about them. And regarding purchasing second-hand wraps, I don’t really have any ideas outside of the post Gretchen mentioned and the mega Babywearing Swap Facebook group. Wow, thanks so much Jessica! Never seeing either in person, this is SO helpful. We live in the UK and I don’t have a baby shop that sells carriers near me! So one other question, does the pocket that goes under baby work better in either one? And in the tula, it looks like there is a strap adjustment on your shoulders, is that helpful to have? I don’t see one on the boba. The under-baby pocket is pretty similar in both the Tula and the Boba — in both of those, I use it to carry the sleeping hood when I’m not using it. You’re right that the Boba doesn’t have the strap adjustment on the shoulders. I really like that aspect of the Tula since it makes adjusting the baby and carrier to nurse while babywearing a lot easier! Thank you so much for sharing your expertise here so generously, my friend. 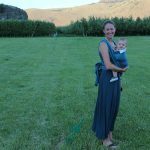 I’ve learned so much about babywearing (and many other things!) from you through the years. I’ve also thought about getting a Boba or something similar, it ‘s really nice to read get a review on those too! I’m a Boba lover. 🙂 Did you know Target just started carrying them? I’m so excited to have them more visible to the mainstream! Oh that’s great! I pretty much never get to Target, but I’m glad to know I can tell people to look there for a quality SCC. Gretchen was easy to work with, prompt in her replies, and continues to be a huge source of support for our technical needs.